The Journal of Human Reproductive Sciences‘s editor-in-chief told us that they first contacted the author about the allegations more than two years ago, and finally issued the notice in September, saying the paper “directly copied” from another article on randomization. “Thus owing to duplicity of text, the article is being retracted,” according to the notice. That doesn’t jibe with first author K. P. Suresh, based at the National Institute of Veterinary Epidemiology and Disease Informatics in India. He told us that the “two articles are entirely different concept.” In subsequent emails, he added that he had not been given the chance to “represent the issues” before retraction, and said that he was going to reach out to the journal. In response to your mail, two articles in question is attached for your reference. The dispute is material in article 1 is copied from article 2. Patil told us that the journal had reached out to Suresh in 2013 after they received a message about potential plagiarism in the article. She said the journal has spoken to Suresh over the phone regarding the paper. They waited for two years before issuing the retraction, said Patil. We had informed dr KP Suresh 2 years ago and he just replied saying that it is his original article. We had waited for 2 years. Patil provided Retraction Watch a message sent to Suresh September 3, 2013; we’ve asked Suresh to confirm that he received the email. The retracted paper was published in 2012 and looked at how to determine statistically significant sample sizes in clinical research studies. It has been cited 30 times, according to Thomson Scientific’s Web of Knowledge. In the article entitled, “Sample size estimation and power analysis for clinical research studies,” which was published in pages 7-13, Issue 1, Vol. 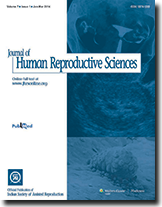 5 of Journal of Human Reproductive Sciences, sections in the text have been directly copied from a previously published article, entitled, “Issues in outcomes research: An overview of randomization techniques for clinical trials,” in pages 215-221, Issue 2, Vol. 45 of Journal of Athletic Training. Thus owing to duplicity of text, the article is being retracted. The other article, “Issues in outcomes research: An overview of randomization techniques for clinical trials,” was published in 2008 by the Journal of Athletic Training and detailed the different approaches to randomly assign study participants to different groups. It has been cited 50 times. The department of Editorial Quality Management, investigates each case to its depth and a final decision is taken only after we have proper justification for the same. We at Wolters Kluwer always maintain the highest ethical standards as per COPE and ICMJE guidelines for our Editorial processes. The case now stands closed from our end. Dr. Madhuri Patil, could you be so kind as to provide a text versus text comparison of these “sections in the text have been directly copied from a previously published article”. In addition, do your instructions for authors define a quantitative value of how much text (word-wise or percentage-wise) constitutes plagiarism or self-plagiarism. If there is verbatim copy-paste plagiarism, it’s not seen by just skimming over the papers. So, does anyone have the time to point out the plagiarism to us? It appears possible (probable?) that the editor named the wrong paper in the retraction notice as the source of the identical material. However, Suresh & Chandrashekara’s paper does indeed contain text that had had appeared elsewhere, so the retraction for plagiarism appears justified, even if the notice is partly incorrect. A quick search revealed some text in Suresh & Chandrashekara’s article that appears to have been repeated verbatim or nearly verbatim from a 2002 paper on sample size by Elise Whitley and Jonathan Ball, published in /Critical Care/ 6:335-341. [doi:10.1186/cc1521 or http://www.ccforum.com/content/6/4/335. Suresh and Chandrashekara cited Whitley and Ball’s paper, but not exactly for the section in which the material was used (possibly a re-numbering error? ), and they did not set off the identically-worded section with quotation marks. “The difference between two groups in a study will usually be explored in terms of an estimate of effect, appropriate confidence interval and P value. The confidence interval indicates the likely range of values for the true effect in the population, while the P value determines how likely it is that the observed effect in the sample is due to chance. A related quantity is the statistical power of the study. Put simply, this is the probability of correctly identifying a difference between the two groups in the study sample when one genuinely exists in the populations from which the samples were drawn. “In research, statistical power is generally calculated for two purposes. 1. It can be calculated before data collection based on information from previous research to decide the sample size needed for the study. 2. It can also be calculated after data analysis. It usually happens when the result turns out to be non-significant. In this case, statistical power is calculated to verify whether the non-significant result is due to really no relation in the sample or due to a lack of statistical power. “In research, statistical power is generally calculated with 2 objectives. 1) It can be calculated before data collection based on information from previous studies to decide the sample size needed for the current study. 2) It can also be calculated after data analysis. The second situation occurs when the result turns out to be non-significant. In this case, statistical power is calculated to verify whether the nonsignificance result is due to lack of relationship between the groups or due to lack of statistical power. 2. Habib A, Johargy A, Mahmood K, Humma, Design And Determination Of The Sample Size In Medical Research, IOSR Journal of Dental and Medical Sciences 2014;13(5),v.VI: 21-31. This excerpt is identical to Suresh & Chandrashekara’s 3rd paragraph under the “Power” heading. The Habib et al. paper appears not to have any in-text citations, and the reference list at the end does not include Suresh & Chandrashekara, nor the sources from which Suresh & Chandrashekara appear to have acquired their material (in the case of this excerpt, possibly Olbricht & Wang; the “viz” phrasing makes it appear that Suresh & Chandrashekara’s paper is the more likely proximal source). In addition, my search turned up a 2010 paper (pre-dating Suresh & Chandrashekara’s paper), which uses some of the same wording from Whitley and Ball that Suresh and Chandrashekara also reused. The authors do cite Whitley and Ball’s work (as ref 33), but big chunks of text are copied verbatim without quotation marks. Kyrgidis A and Triaridis S, Methods and Biostatistics: a concise guide for peer reviewers, Hippokratia 2010;14(Suppl 1):13-22. “Power is the probability of correctly identifying a difference between the two groups in the study sample when one genuinely exists in the populations from which the samples were drawn33. The ideal study for the researcher is one in which the power is high. This means that the study has a high chance of detecting a difference between groups if one exists; consequently, if the study demonstrates no difference between groups the researcher can be reasonably confident in concluding that none exists in reality. The power of a study depends on several factors (see below), but as a general rule higher power is achieved by increasing the sample size33. Thus researchers will strive for high power studies. In this case, with “too much power,” trivial effects may become “highly significant”29. “Put simply, this is the probability of correctly identifying a difference between the two groups in the study sample when one genuinely exists in the populations from which the samples were drawn. The ideal study for the researcher is one in which the power is high. This means that the study has a high chance of detecting a difference between groups if one exists; consequently, if the study demonstrates no difference between groups the researcher can be reasonably confident in concluding that none exists in reality. The power of a study depends on several factors (see below), but as a general rule higher power is achieved by increasing the sample size. In any case, the retraction of Suresh & Chandrashekara’s 2012 paper for plagiarism appears justified, but perhaps the retraction notice itself requires an erratum to correctly identify the works that were copied. So what you are suggesting is that the authors screwed up, but so too did the editors/journal? If there is no clear overlap between Suresh & Chandrashekara’s paper and the paper cited in the retraction notice as the source of the duplicated material, then it would seem that way, wouldn’t it? I have not gone through the paper by Kang et al. (the one mentioned in the retraction notice) with a fine-toothed comb, but my quick skim (as commenter “genetics” also noted) didn’t reveal obvious evidence of textual overlap. Journal of Human Reproductive Sciences is published by Wolters Kluwer – Medknow. What does the publisher have to say? In research papers submissions there could be duplicate of facts especially when a particular research was carried out by more than one researcher unknowingly producing almost the same facts and data that may seem copied.